Each $1 drop in the average price over the course of a year costs the province $215 million. WASHINGTON - Alberta's premier says a recent rally in the price of oil won't help the provincial government much as it tries to plug a multibillion dollar hole in its budget. 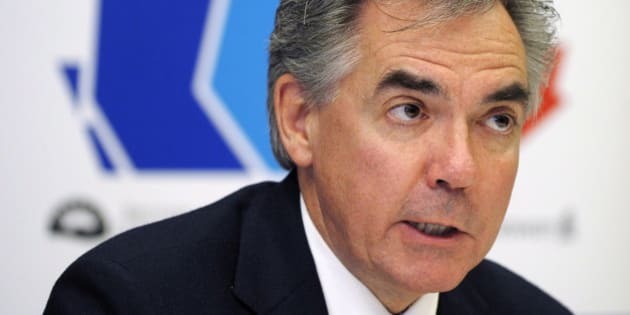 Jim Prentice says US$50 a barrel oil is better than $40 a barrel, but the province still needs to find more stable sources of revenue to deal with what will be a sizable deficit. Prentice says prices will fluctuate, but analysts expect them to stay low for up to two years. Oil closed just below US$50 a barrel today after falling below US$45 a barrel in recent weeks. The benchmark has fallen more than 50 per cent in the past seven months, threatening the profits of energy companies and leaving Alberta with a $7 billion hole in its budget. The province predicted a barrel of West Texas Intermediate would average US$92 a barrel this fiscal year ending March 31. That was revised to almost US$89 in November as prices fell. Prentice has signalled everything is on the table as the government attempts to deal with its revenue shortfall, including possible tax hikes, spending cuts and wage rollbacks for government workers. "The price levels that we continue to be at is still in the range that produces a very sizable hole in terms of Alberta's finances," Prentice said from Washington. "Certainly $50 a barrel oil is better than $40 a barrel oil — I understand that. But it still produces a deficit that is very sizable in terms of the Alberta government's budget going forward."